Here is a property that has everything and potential galore. 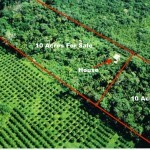 Located on the Mullins Riverfront along the coastal Highway about 40 miles South of Belize City, lies an excellent valued property currently producing income from organic farming. 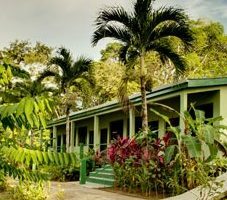 This is a chance to bring your Belize Dream to a reality for under $100,000. Very economical, sustainable Agro-forestry system designed by professionals for low inputs & maintenance. Self-fertilized with nitrogen fixing ground covers. No chemicals have ever been used on this land. Organic farming in Belize, though in its infancy, is a booming micro economy due to the servicing of so many high end restaurants across the country servicing the tourism market as well as a growing individual market to Expats living in Belize seeking quality produce and this farm has been sustainable organic farming for 25 years. It currently produces over a hundred edible species and a few hundred useful (medicinal) species PLUS a fantastic collection of heirloom & rare species. 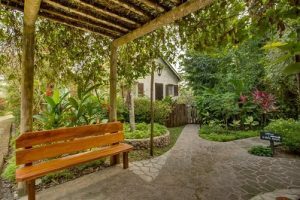 This gorgeous 10-acre property is located just 7 miles from the Hummingbird Highway near Dangriga Town and sits 2.5 miles into the jungle towards the sea. The Coastal Highway is considered to be one of the best up and coming investments. 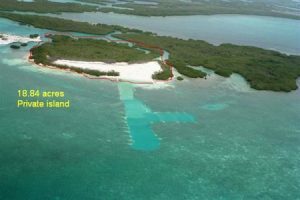 You can fly in to Dangriga and be sitting at your riverside property in half hour. The possibility for a remote resort catering to organic sustainable eco tourists, the land also boasts fantastic birding and wild life. There is cell and internet there but power would be off grid solar. The water from the Mullins River provides year round drinking and potable water. There is a road into the property, but can get muddy during rainy season, but can easily be improved. If escaping the rat race and living off the land while producing an income and gaining return on investment is your dream, contact us to help you make it come true.